In my 46+ years of professional service, I have observed a number of common patterns shared by numerous individuals. Patterns may be common; however, the individuals are anything but common. You might think of it this way. A significant part of you wants to create an effective resistance designed to slow your positive momentum. How is the best way for this to happen? Who knows you with the greatest accuracy and depth? Who knows your greatest fears and triggers? Who knows your inner secrets? Who knows what makes you feel ashamed or insecure? I believe that your subconscious knows all of this and much more. When I am working in a Life Coaching partnership with an individual with demonstrable progress, I am not surprised that frequently resistance develops. There are a number of reasons that this happens. Depending on several diverse factors beginning in our infancy, we are enculturated. This includes parenting, schooling, societal values and beliefs, training and life experiences. Our subconscious, which I believe is inherently supportive, evaluates our desires and life goals primarily based on literal interpretations of our thoughts and feelings. It develops a process to carry out what it believes we want without consideration of the accuracy or the long-term effects. For example, if we experience threats to our sense of vulnerability in childhood, we may tell ourselves that we will avoid interpersonal intimacy and vulnerability to avoid the painful hurt. Our subconscious may protect us by creating patterns of inaccessibility, irrational reactions, diminished self-esteem and other distractions. The result of this could be a lack of quality relationships, which then may reinforce lower self-esteem. Our subconscious specifically creates an approach tailored uniquely to the individual. Over the years, I have found that this approach is incredibly effective and incorporates an intricate series of processes. The more complex the individual, the more complexity in the process. I believe that a conscientious and quality Life Coach requires a thorough “detective” strategy to uncover the intent and approaches created by an individual’s subconscious. The individual is educated about these discoveries and given meaningful steps to change the patterns, which redirects the subconscious. Since this is not a therapeutic process, the goal is to utilize this information to make the necessary changes of the patterns and to continue the positive momentum without unnecessary focus on the psychological factors. In 1951 when I was in elementary school, I watched movies during lunch along with a five cents bag of popcorn. 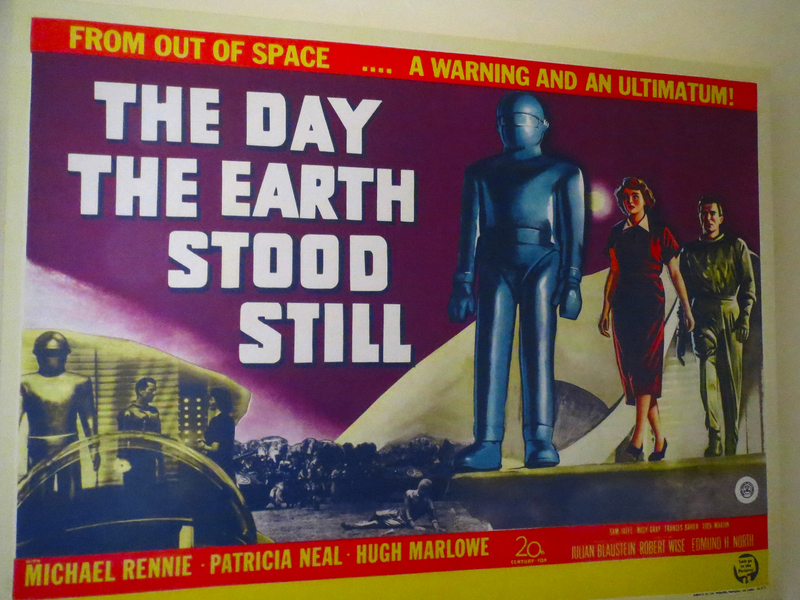 One movie was The Day the Earth Stood Still. The film was one of the first science fiction genre that focused on humanity rather than extraterrestrial violence. You might be asking yourself what this has to do with life coaching, the primary emphasis of this site. Well, it is about perspective. During my many years of providing counseling and then life coaching, it became clear that a person’s perspective could make all the difference in their achieving success, fulfillment, joy, abundance and a well-balanced lifestyle. I am sure that you have your own examples of how changing your perspective made a difference in your life. I remember years ago when I was the executive director of a mental health agency in Southern California and two women walked into the office just before closing. One woman was obviously in great distress and sobbing. The other woman, unable to calm her friend down, decided to bring her for some mental health support. She shared how her friend’s house had just burned to the ground with everything she owned and how devastated she was.